In college, needing to fulfill the natural science requirements that came with my social science major (and taking full advantage of Michigan State's generous honors options to sign up for classes well out of my league) I took a class on plant biogeography in which we spent quite a lot of time on islands. Besides the graduation requirement, I think I was mainly looking for possible subjects for poems. I don't think I finished any poems out of that class, but I did keep thinking about islands. 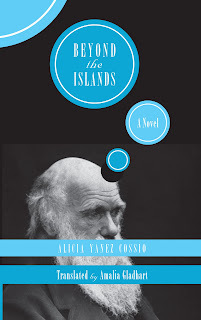 Translating Alicia Yánez Cossío's Más allá de las islas--forthcoming this summer from UNO Press with the English title, Beyond the Islands--I found myself thinking about (reading about, researching about) islands in general. The novel is set in the Galápagos Islands, an archipelago much written about by scientists, travelers, and poets, and re-imagined by Yánez Cossío as a space that might hold not only endemic wildlife and unusual plants, but ageless pirates, ingenuous lovers, and determined teachers. The biological importance of the Galápagos is due in large part to the high incidence of endemism in the islands. That endemism, in turn, is threatened by (among other things) introduced species. In New Zealand last month, I had the good fortune to visit Kapiti Island, a nature preserve a short distance by boat from Paraparaumu, about an hour north of Wellington. Kapiti, too, has suffered from introduced predators (possums, rats, mice) and, like the Galápagos, has undergone extensive eradication efforts. Every few feet along the Kapiti trails, there are traps and signs warning of poison. But there aren't, so far as we know, any possums or rats. 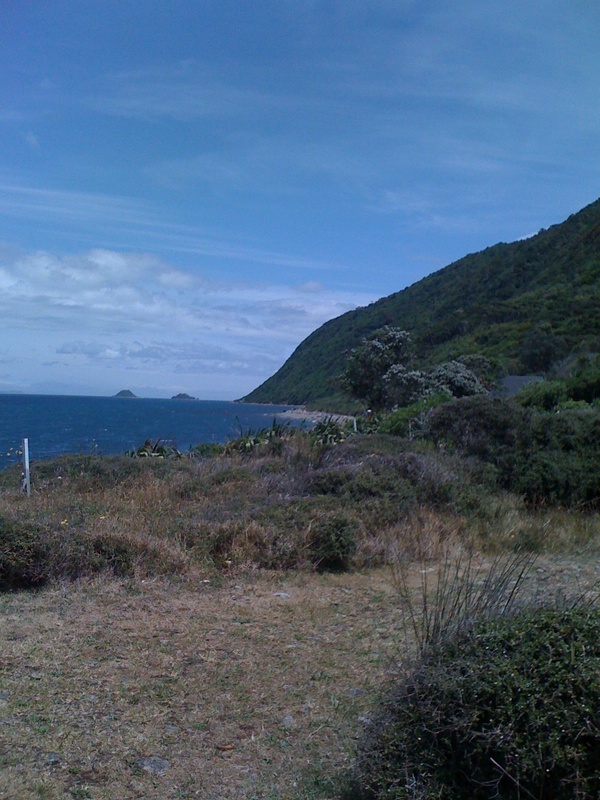 Unlike the Galápagos, Kapiti Island has also been used as a refuge, a place where species at risk of extinction elsewhere in New Zealand have been introduced and have managed to thrive. So that while restoration of habitat and of native species has been a chief concern, a new ecosystem has also been created--or if new is too strong a word, a variant balance--as each introduced species must occupy or carve out suitable niche for itself. Paradise restored, or paradise reinvented? The little spotted kiwi is perhaps the best example. I spent over two hours creeping around on grassy or forest paths with a patient, good-humored guide, listening to the kiwis call to one another and, at last, seeing the soft, rustling rush in the underbrush that was a kiwi rummaging around in the leaf litter for food. The takahe, by contrast, wandered around in the sunshine, easy to spot. More on Galápagos novels soon. Right now I'm thinking about the tensions between restoration and reinvention, contact and contamination, travel and hospitality. Some guests are welcome to stay a while, even set up a lean-to out back; others we can't be rid of soon enough. Hi Amalia. I work with Minnie, John, and Amo, from Kapiti Island Nature Tours and would love to put a link to your blog from our website. It's really great to share the experiences of our visitors. Is that okay with you? Cheers. PS. Feel free to join us on Facebook too and share your photos. Janie, I'd be honored to be linked from your website. I'll look for you on Facebook. too. Take care. Go well. Bye.